Actually, the wind was from the east the WHOLE time. Fairly steady 10-12m until about 2:30-3pm. Just a handful of kiters, the sensor must've confused a lot of people. 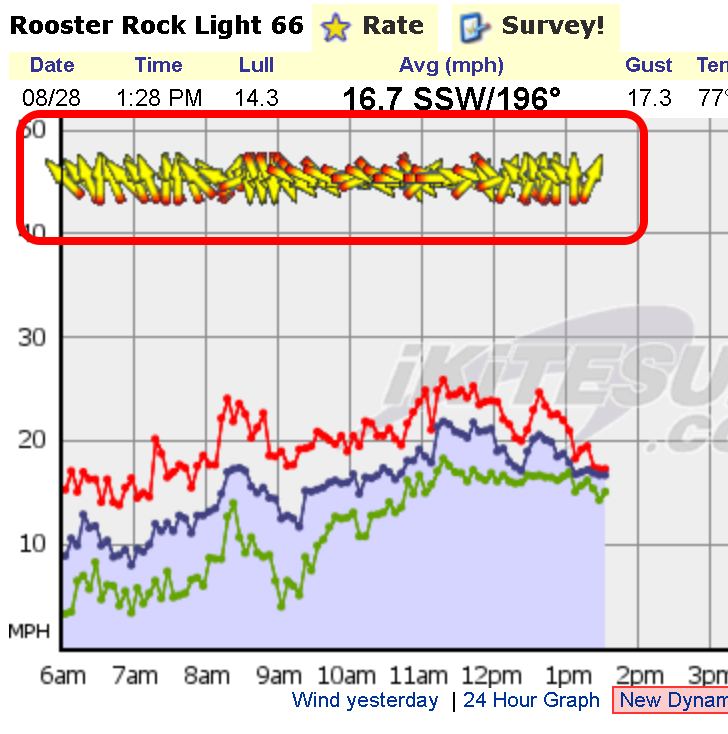 Somebody needs to check that sensor for wind direction glitches. Actually, the wind was from the east the WHOLE time. Fairly steady 10-12m until about 2:30-3pm. I was there from 12 to 2:30, powered up nicely on my 12M. It died off soon after came in. I was amazed at how flat the water was and the wind felt very steady for Rooster. You can get readings like that when a bird (osprey for example) perches on the vane, and then becomes the vane.